BMX bikes were used to be quite common in 70s but they were soon replaced by mountain bikes. Decades have passed, still present day teens love to be called as BMX enthusiasts. Reason is that bike provides quite a thrilling experience and comes up to the expectation of being a racy vehicle. 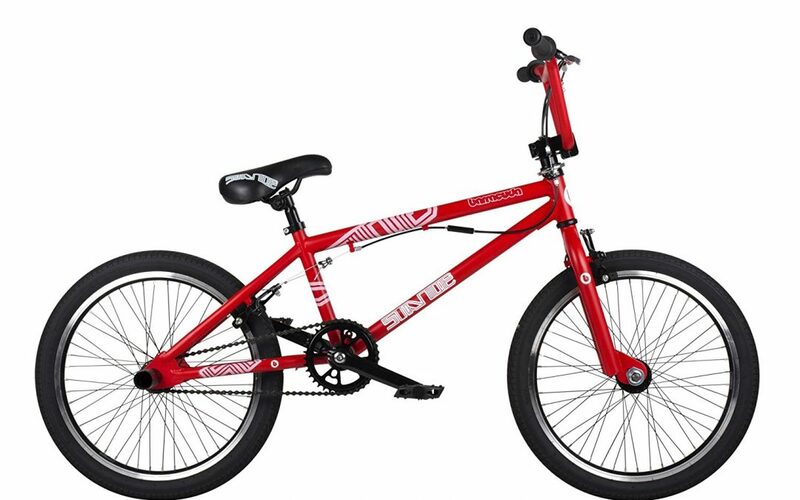 Barracuda Boys Stance Freestyle BMX bike allows youngsters to enjoy tricks in free way. It is quite light in weight and free moving, making a rider to perform variety of stunts. Before we proceed with Barracuda Stance Freestyle, let’s learn how a freestyle BMX in general is supposed to be. The bike is usually for performing and learning sturdy tricks in skate parks. A youngster who aims to become a stunt performer in future can also ride this bike for strengthening his skill and have more grips. Bike usually comes up with pavement ready tires. It has ultra-beefy frames and cable detangling headsets. BMX bike has fixed frame size that is not customizable with wheels. Barracuda Stance Freestyle has a 360 degree rotor head and one alloy V-brake front and rear. Freestyle BMX ranges from 20 to 24 inches in wheels. This one of Barracuda has 20 inches wheels. It has four bolt stem, and steel cross brace BMX bars. 11 Inch freestyle BMX frame has Hi-Ten steel BMX Forks. Rear stunt peg alloy comes with 1.95 inch tyres; bike has saddle paddles. Perfect racy bikes: The bike is quite perfect for racing over jumps due to their light-weight. They are not as tough like mountain bikes, so serve an easy option for youngsters. 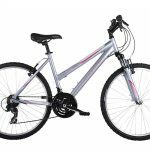 Helpers in learning stunts: Teens who want perform multiple stunts for enthusiasm can choose this bike as it offers a good learning experience. Being easy to use youngsters can learn tricks and perform them at professional level in future. Multiple tricks performer: BMX Freestyle bike by Barracuda is a multiple trick performer. It is best for jumping on ramps in backyard along with friends, while doing in some healthy competition. Barracuda’s bike is a bit economical; hence riders can enjoy experience of thrilling and racy bike in while paying less money. Barracuda Stance Freestyle is Barracuda is quite easy to use by beginners and learners. It is not something fit only for teenagers. Even the kids who are six years old can equally benefit use this, as they can move it with greater ease. Bike comes up with a manual that gives basic guidance for use. Apart from manual, assembly tools also help in putting together all the parts. Preparing it for first ride is usually not a hassle. Barracuda‘s freestyle BMX has garnered many positive reviews. The basic reasons are the extent of easy in mobility that it provides to young riders. Another satisfying factor that users cited was quality. Customers were happy to get the desired features they had paid for. Few people had issues with assembling of the parts, but they are likely to arise due to lack of experience. Mostly, users were easily able to join the parts and make vehicle ready for first ride. The Barracuda Stance Freestyle is quite well built. Only thing that displeased the users was assembly. As far as riding experience is concerned, bike was just like an average BMX bicycle that promises thrilling and enthusiastic experience through tricks and stunts. BMX freestyle bikes are basically an eco-friendly version of motor-bikes. They are much thrilling and adventurous. Usually parents give it to their kids as it helps them in learning tricky physical sports. Most commonly asked question is whether kids can move it or not? The answer is yes. 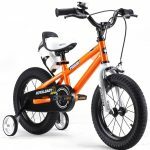 Many customers are of opinion that Barracuda’s freestyle bike is easy to handle by the kids between ages of 6 to 9. It is very common for first time bike riders to fall at least once during their initial trials. Many parents state that their kids were able to lift the bike off the ground after they fell down. The weight of Barracuda Stance Freestyle is at maximum 14 kg, it can be less than that, although it is bit heavier than a trekking bike which has an aluminium frame. Is it right choice for long distance ride? The answer is no. This Barracuda Stance Freestyle has only one brake and is appropriate for skate parks or doing tricks in backyards. Using it on daily basis for the purpose of commutation is prohibited. Why to Bike Barracuda Boys Freestyle BMX? It is appropriate for everyone. Kids and teenagers can equally experience it’s fun and enthusiasm. It is a great vehicle for performing tricks and engaging in adventurous sports. The Barracuda Stance Freestyle is lighter; hence beginners can use it for learning to ride while performing stunts. Sign up with your email address at the bottom of the page to be keep up to date on all our new reviews.